Hi, I’m Andreas Leondios from Le Grand Chateau in Parys in the Free State. 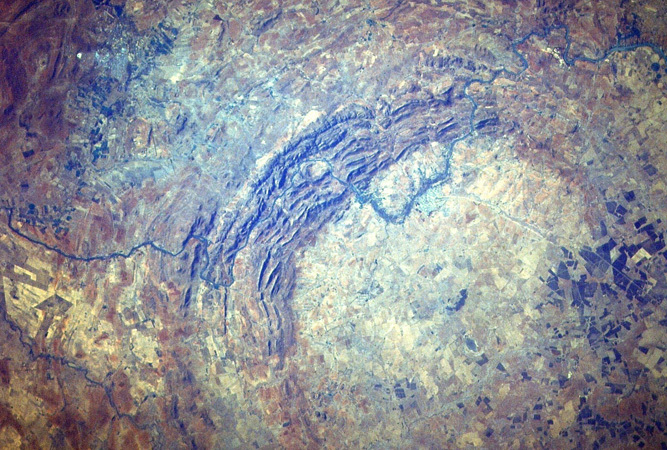 PARYS IS BEST KNOWN FOR being on the outskirts of the largest meteorite impact in the world which resulted in the scenic mountains surrounding Parys. 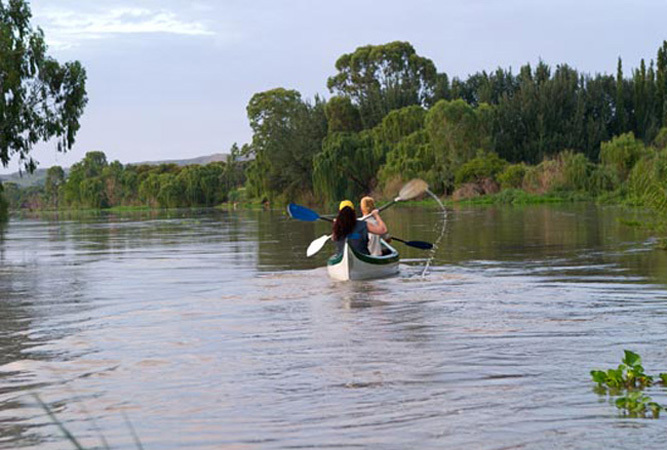 Parys is also renowned for the Vaal River which runs through Parys and the fauna, flora and activities which surround it. 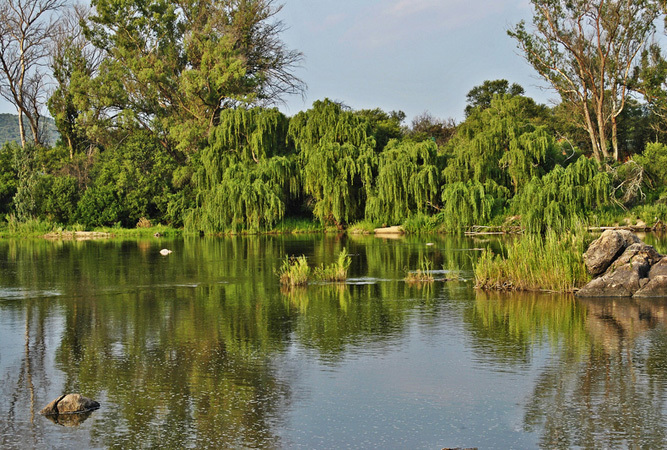 Parys also has two beautiful golf courses which have the Majestic Vaal River running through them and a variety of curio, antique and coffee shops. GET YOUR PICTURE TAKEN AT Kiki’s vintage era photo studio situated on the main road. The photographs are timeless with a choice of sepia, black and white or colour and portray the 50’s, 60’s and 70’s era. THE BEST scenic PICTURES CAN BE TAKEN by Studio J. You can arrange to have your picture taken with the scenic mountains, river or the wildlife (cheetahs and lions are available for viewing and pictures). WHEN THE WEATHER’S GOOD, I LIKE TO abseil, raft, paintball and do some archery with X-Factor Events. WHEN THE WEATHER’S BAD, I LIKE TO visit the curio shops or coffee shops with all their home baked dishes, or relax at one of the spa’s. I THINK THE BEST TIME OF YEAR TO VISIT IS summer, BECAUSE of the water activities and the various festivals and Bike Rally’s. MY FAVOURITE BREAKFAST SPOT IS Coffee and more, Die Koffiekan and Plum tree cafe. 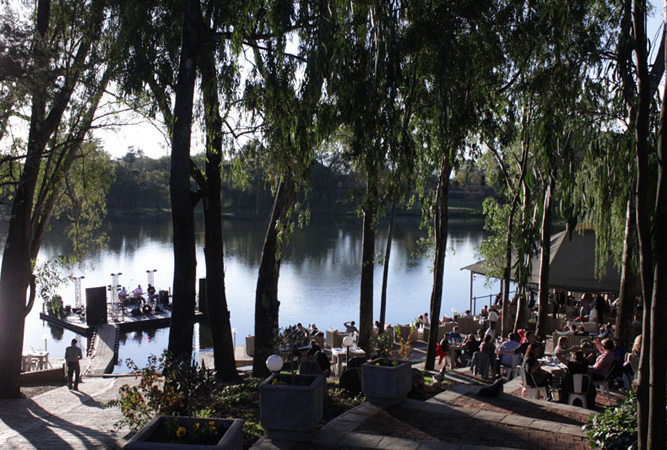 FOR LUNCH, I SUGGEST O’s restaurant which is situated on the Vaal River with a wooden deck cocktail bar. MY FAVOURITE RESTAURANT IS Ruby’s, TRY THE towering fillet whilst relaxing in the Moulin Rouge setting and enjoying live or classical music. BEST LATE NIGHT SNACK FROM Pickled Pig with it’s wide variety of beers and coffee. MY FAVOURITE Sundowner SPOT IS Die plek situated on the Vaal River with assorted cocktails and snacks. FOR A NIGHT OUT ON THE TOWN TRY Cherry on Top situated on a deck next to the main road. IF YOU WANT TO MEET LOCALS, GO TO Legends or Finigan’s where local entertainment is best enjoyed at night. Parys’s BEST KEPT SECRET IS Harry’s Cheesecake, excellent quality cakes supplied to premium coffee shops in Joburg. MY FAVOURITE THING TO DO WITH FRIENDS IS play golf at either Vaal De Grace or Parys Golf club. FOR SOME LIVE MUSIC, I LIKE TO GO TO Ruby’s and see many popular local artists. TO RELAX AND RESTORE MY SOUL, I LIKE TO go to the River Spa . IF YOU’RE FEELING ADVENTUROUS, TRY river rafting with X-Factor events or a cheetah visit at the Dell. MY FAVOURITE HIKE IS with Dome Tours just outside Parys. MY FAVOURITE biltong SHOP IS Alex biltong. MY FAVOURITE nature WATCHING SPOT IS Otavi, where you can visit the crocodile and lion farm. IF YOU’RE HERE IN November, JOIN IN THE FUN AT the Dome Festival. MY FAVOURITE MUSEUM IS the Parys Museum. CHECK OUT THE building itself and old pictures of the town. MY FAVOURITE BUILDING IS old Churches and antique stores, FOR their classical time gone by look. TRAVELLING WITH CHILDREN? A FUN OUTING IS Fun2chino with the children’s play area or the airfield on weekends. BEST CHEAP AND CHEERFUL OUTING IS climbing wall at Dome climbing club, visit their web page or facebook page to make your booking. WHEN MONEY’S NO OBJECT, I LIKE TO go sky diving with Skydive Parys or flights over the dome with various pilots at the Parys Airfield. THE MOST UNUSUAL THING I SEE HERE IS the Dome festival, Power boat racing, Motorbike and Cycling Rally’s. MY FAVOURITE WEEKEND GETAWAY IS a relaxing night’s sleep at Le Grand Chateau, followed by a visit to a spa, a round of golf and sundowner’s next to the river. WHEN I WANT TO GIVE BACK TO THE COMMUNITY, I donate to the SPCA and support the SPCA charity shop as well get involved with sponsorships towards the orphanages and old age homes. 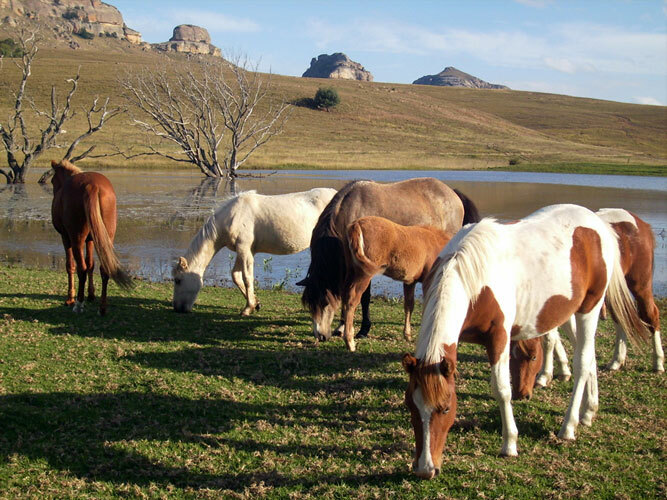 I Love Parys Because of its scenic beauty, tranquillity, curios and antique shops, outdoor activities and natural beauty. I never imagined there was so much to do in Parys! Andreas, you’ve really made Parys come alive for us – thank you so much for sharing!